So here I was plugging away in Lulu.com thinking of making a tech history wall calendar with some crappy public domain clipart I found when I get an email from David Michael. He says, “Hey Tom, what if we made a really cool wall calendar with the Tech History events and Scott made these fantastic illustrations for it?” I sent him the tech history events in two seconds. 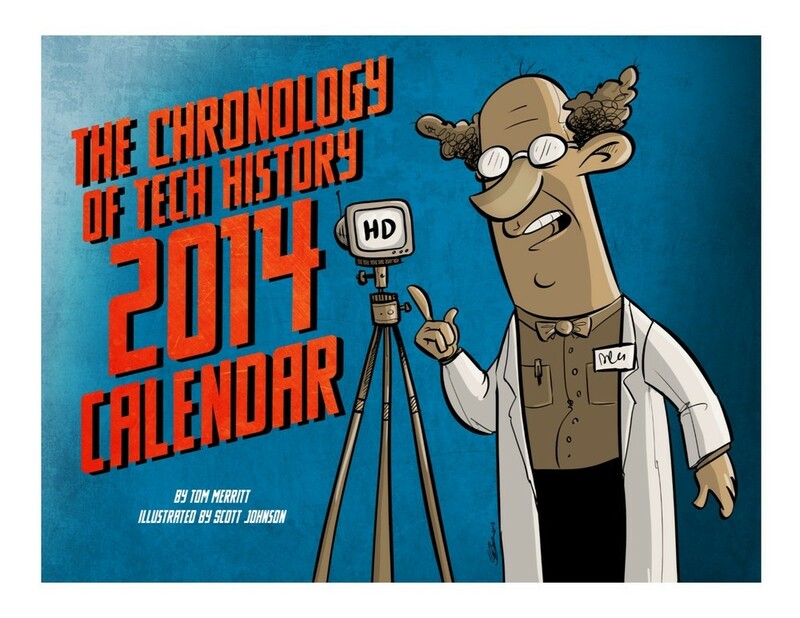 Presenting the Chronology of Tech History 2014 wall calendar! A companion to our Year in Tech History monthly Kindle series. This 12 month calendar will feature monthly art from Scott and an assortment of tech tidbits for most of the days of the year. It’s $18 and you can get it here. 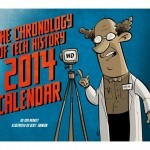 Calendars will begin shipping 12/15/2013.